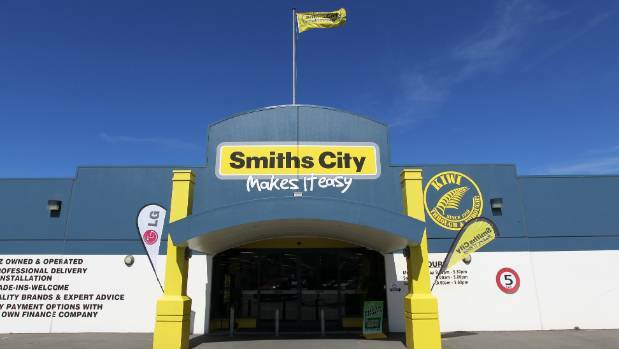 Retail chain Smiths City has been ordered to pay its employees for unpaid pre-work meetings in a decision with wide-ranging ramifications for employers. For at least 15 years, every Smiths City store in the country has held a meeting of sales staff for 15 minutes every morning, covering topics ranging from sales targets to promotions. Staff were not paid for the meetings and the time was not recorded as hours worked, resulting in some staff not receiving the minimum wage once the extra 15 minutes was taken into account. The company argued the meetings were not compulsory and no disciplinary action was taken against staff for not attending them, but the Employment Court, in a decision released this week, found otherwise. “The expectation to attend, and pressure placed on staff to do so, was direct and forceful,” Chief Judge Christina Inglis said in her judgment. The court ordered the company to comply with an improvement notice issued by the Labour Inspectorate in January 2016, a notice which that was successfully challenged by the company and rescinded by the Employment Relations Authority. The notice required Smiths City, an electronics and appliances retailer with more than 30 stores and 400 employees nationwide, to calculate arrears of pay below the minimum wage for all current and former employees for the past six years. “Employees must be paid for all the work they do, and this includes handover times, briefings, and in some situations, the travel time to and from a work site,” inspectorate regional manager Loua Ward said. The improvement notice was limited to those employees who were paid at, or near, the minimum wage. The labour inspector was unable to describe the loss to these staff, but the court said, for indicative purposes, the underpayment was more than $800 a year for a staff member consistently earning the minimum wage. Smiths City, in response to the inspector’s assertions, drew attention to its flexible attitude to working hours, telling the court employees were able to take longer breaks or leave early when a store was quiet. The company contended the meetings were not work, which the court rejected, and claimed it complied with the Minimum Wages Act because of how it calculated and paid commission and incentives. However, the court said that was additional income earned over and above the contractual hourly rate, not a substitution for it. Last month the company was reported to be facing a loss that may be as high as $8 million for the year to April. It had 15 days to respond to the court order, and until August to comply with the terms of the improvement notice. “Too often we encounter employers attempting to avoid paying their employees by dressing up activities outside of business hours as something that is for the benefit of the employee or something that’s not work,” Ward said.